A reconstruction of the first of seven legendary 'beat' reels from the late 1950s. Originally created by Ed Coolly, recreated by Buckinfudgy. Edmund Coolliquoi (Ed Coolly) was an Anglo-French expat living in New York in the mid-1950s. 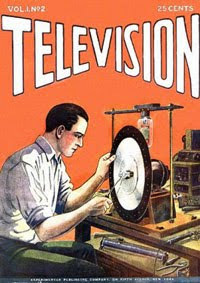 He became 'turned on' to the work of beat poets and performers, jazz musicians and the possibilities of electronics. 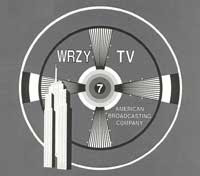 His day job was as a technician for local New York experimental TV station, WRZY. To fill in gaps in programming, and during the late night closedown, Coolly developed collections of test signals, countdowns and industrial film footage. Overlaid with poems and sound from beat poet friends, these developed into 7 sound and moving image collages, each one lasting for seven minutes. These films became known as the ‘Downtown Heptasm Reels'. Continually refined, developed and added to throughout the late 1950s and early 1960s, Coolly only stopped working on the collection shortly before his death in 1967. By this time the reels had become legendary amongst television technicians, and were regularly screened at happenings and psychedelic gatherings in San Francisco, London and Paris. Although the masters were lost, some fragments of the original reels have been retained in private collections. Few agree on the full content of all seven reels (for example, debate is split on whether the Zapruder footage was ever included) but enough first person testimony exists to aid the rebuilding of the seven parts. Returning to the original sources, Buck in Fudgy have begun work on a project to restore ‘Downtown Heptasm’ to its original Hepcat glory.